Effective functioning of the free economic zone (FEZ) is a tool for accelerating development and increasing the region’s competitiveness, which is strategically important for a city such as Sevastopol. To quickly identify FEZ operation problems and make informed and timely management decisions, I propose balanced scorecard. 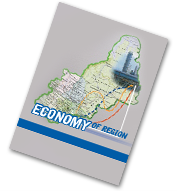 The article focuses on the comprehensive assessment of the efficiency of free economic zones in the territory of the Russian Federation. I describe the main results of FEZ functioning in Sevastopol. The Balanced Scorecard (BSС) technique is widely used in practice and most debated in the scientific world. However, I propose to apply this method in the framework of a mechanism for managing SEZ participants and ensuring their activities for the long term. To manage the FEZ, I suggest using perspectives: «Finance», «Social efficiency», «Internal administrative processes», «Infrastructure». These perspectives differ from a traditional model. In addition to the legislatively set quantitative indicators for the annual assessment of FEZ performance, I apply qualitative indicators. These are the specific volume of investments per one created workplace; the specific amount of taxes per one created workplace; plan of the volume of proceeds from the sale of goods, works, services; the rate of implementation of the plan for the volume of investments including capital investments, implemented in accordance with the signed agreements on activities and etc. The improvement of methodological approaches to the comprehensive assessment of FEZ performance as a tool of regional government will promote the development of effective regional policy. Moreover, the introduction of the offered methods, algorithms and actions will accelerate market transformations and institutional transformations in the economy of Russian regions. The obtained results can be used both in the development and implementation of activities in regional management of FEZ. Furthermore, the research results allow to residents to directly analyze FEZ with the aim of increasing the efficiency of their activities, as well as investment attractiveness.